Happy Hamby Campers: Mail in a box! The mail truck came twice a week to Yowah, except on public holidays and days when the water-crossings were too high. Our mail at home is generally delivered every week day. We had arranged (ie. paid!) to have it held during our ten-week absence. We collected it all today - in an Australia Post box! 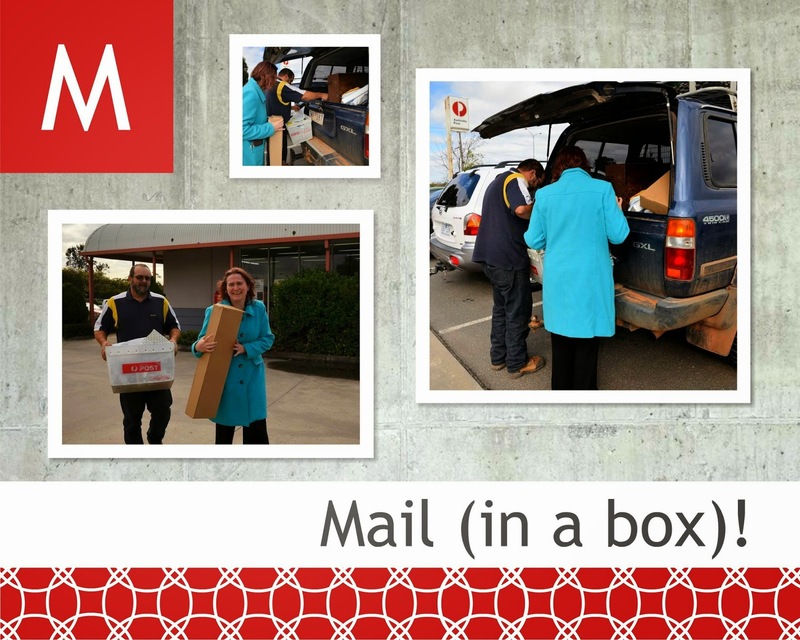 Erin had already deposited another load of letters and small parcels, before these photos were taken. Yes, there was quite a lot! The bulk of the mail was Erin's and she was happy to have it. Nick and I didn't receive much other than the usual bank and superannuation statements, customer loyalty correspondence and utility bills - although I was pleased to see my Vistaprint order and a Mother's Day parcel!